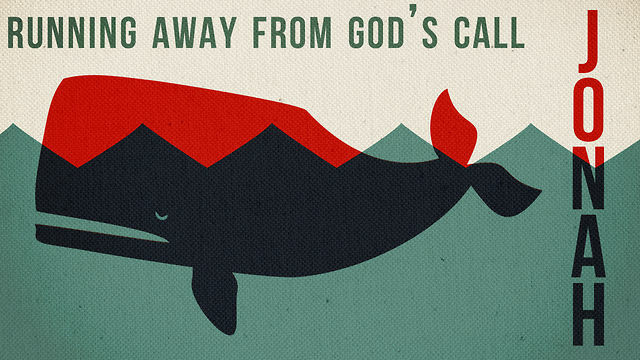 In this final chapter of Jonah, Jonah gets mad at God. 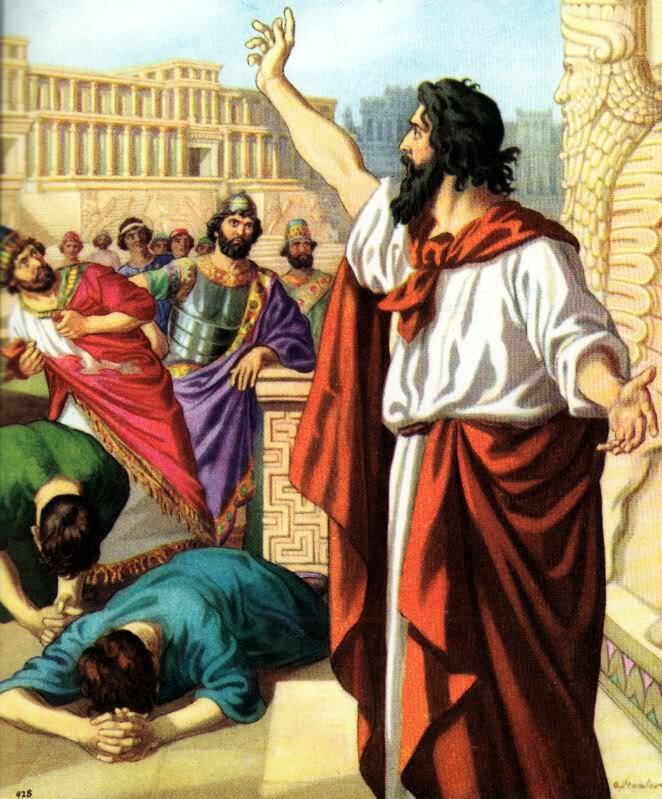 His anger comes from the fact that the message he gave to Nineveh was the same message he was giving at home. God’s response is “Have you any right to be angry?” (4:4 NIV). At that Jonah travels just outside of Nineveh and builds himself a shelter, while God provides some shade by causing a vine to grow. Then during the night, God caused the vine to shrivel up and die. So Jonah became angry at that as well, and God responded in the same way. Then God says to Jonah, “You have been concerned about this vine, though you did not tend it or make it grow. It sprang up overnight an died overnight. But Nineveh has more than a hundred and twenty thousand people who cannot tell their right hand from their left, and many cattle as well. Should I not be concerned about that great city?” (4:10-11 NIV). I believe that God is saying to Jonah, “It’s okay for you to care about something you’ve put no work into, but it’s wrong of Me to care for this city I’ve raised?” Even though Nineveh rejected God and His ways, He still wished from them to come to know Him. God sent Jonah to them, so they would have this opportunity. It’s an idea that still exists today. Honestly, I have no business being a child of God. I am most certainly guilty of sin, and I am obviously not a Jew. Before Jesus, I had to have the opposite of both those things in order to be saved. Paul writes in his letter to the Romans, “…for all have sinned and fall short of the glory of God, being justified as a gift by His grace through the redemption which is in Christ Jesus;…” (Romans 3:23-24 NASB). God sent His son so you and I can be reconciled to Him. God cares for humanity. He doesn’t just sit idly in heaven, watching events happen. Our God is one that intervenes in history; the Bible is full of those experiences, from Genesis 1 through Revelation 22. He wants us to be with Him. I think that’s the underlying point to Jonah. We can read the book at face value and say that it’s all about obeying God, even if we don’t want to. But the deeper meaning is found here. God did everything possible to get the message to Nineveh. Jonah did want to listen, but God turned him around. When the message reached the people, they repented and came back to God. That’s what Jonah is about. God will come after you with everything in his arsenal. All you have to do is repent and believe! Today’s chapter starts with Jonah on, what I’m sure is, a beach. He’s probably lying down on the hot sand with the sun shining down on him, thinking about the last few days’ events. Just a quick recap: he was told to go to Nineveh, ran away, got almost shipwrecked, got tossed from the ship, swallowed by a whale, spent three days inside the whale, then was spat out by the whale onto this beach. I don’t know about you, but I’m pretty worn out from thinking about these things. I can’t imagine the way Jonah must feel. But God comes to him again, and commands him to go to Nineveh. Jonah, having learned his lesson, gets up and travels to Nineveh. At this time, not only is Nineveh as sinful as I mentioned before, but it is also the capitol of the Assyrian Empire. This empire was the biggest in world, and was one of the biggest enemies of the Israelite nation! But Jonah went. On his first day in the city, he proclaimed to them “Forty more days and Nineveh will be overturned” (3:4 NIV). This was the moment; the moment that Jonah feared. He proclaimed the message of God to the Ninevites. At any moment the army should be coming to either arrest him, or kill him. But that didn’t happen. I’m sure their reaction astounded Jonah; he never would have thought they would have reacted the way they did. “The Ninevites believed God. They declared a fast, and all of them, from the greatest to the least put on sackcloth.” (3:5 NIV). The king even reacted in this way (3:7-9). And because the people repented, God spared them from their punishment (3:10). So what does that mean for us today? I see two big points in this chapter. The first is that God has a plan and knows what is best. Jonah did not trust in God that He had a good plan in place. When he was told the first time to go to Nineveh, he ran away because all he saw was trouble. He knew that going to a place that had long been against God, he would surely die. But what Jonah didn’t know is that, according to historical records, there was a recent eclipse and the Assyrians would have taken it to be a bad omen. So the people of Nineveh were receptive to a message of their destruction, because it was already on their minds! So God sent Jonah, in order to bring these people back to Him. The second point that I see is that God want’s for us to repent of our sins and come back to Him. God planned to destroy the city of Nineveh, but He decided to offer them a choice. So He sent them the prophet Jonah to speak His message. When the Ninevites repented of their sins and turned towards God, He chose to spare them from destruction. God wants the same for you and me. We are sinful creatures, but God offers us salvation through the Cross of Jesus Christ. We simply have to repent and seek to follow Him. It’s not an easy path, but it is certainly a better one than the one that ends in punishment. 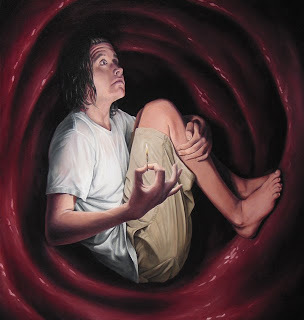 Jonah was given a task to do from God, and thought that it would take his life. While that is a possibility in the life of a prophet, the Ninevites were much more receptive to his message that he had thought. Has God given you something to do? Are you spending time saying “No” rather than doing as God has asked? If this is the case, take a lesson from Jonah. God’s task maybe easier than you think it is. I’m not here to say that it is always easy, but on the off chance that it is. Is it really worth it to add so many problems to your life? I thought it would be a good time to start a new book study. We are going to start with the book of Jonah. I know, I know. We’ve all heard this story either from Children’s Church, or from our kids after Children’s Church (or, my personal favorite, Veggietales). But we’re going to take a look at the actual Scripture in this story. Jonah’s story starts with a message from God and a choice. It’s something we’ve all experienced, especially those who are in ministry. God called Jonah to travel to the city of Nineveh and tell them about God, in order for them to turn away from their sin. This call to travel would have had Jonah leave his hometown, Gath Hepher, and traveled east in order to get to Nineveh. If we look at the book of Nahum, we see that the sin present within Nineveh was plotting evil against God, cruelty and plundering in war, prostitution, witchcraft, and commercial exploitation. Which is probably why we see it said, “But Johan ran away from the Lord and headed for Tarshish. He went down to Joppa, where he found a ship bound for that port. After paying the fare, he went aboard and sailed for Tarshish to flee from the Lord.” (Jonah 1:3 NIV). After having fled, the ship got caught in a major storm. The sailors decided to find out who was responsible for their situation, and the lots fell on Jonah (1:7). So Jonah told them to toss him from the ship, and after the did everything they could, they did throw him off. And when they do, he is swallowed up by a giant fish! But the choice is what intrigues me today. 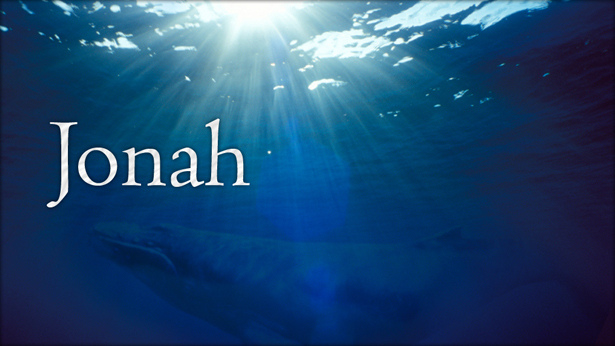 Jonah shows us that he could chose not to obey God, despite being a prophet. He was called to go to one of the most hostile places imaginable for a prophet of God. It would be the same as God calling us to go preach in a place like North Korea, where being a Christian is a crime punishable by death. I know that the theological point is that when God calls you to do something, you do it! But I think Jonah speaks to the common man. Even if we were well protected by both man and God, could you honestly say that you wouldn’t be afraid to go into such a place? I know I would. But God keeps after Jonah. He does everything to get his attention and show him the error of his ways. At the end of this chapter, Jonah is now in the most desperate place imaginable; inside a whale. If you’ve ever felt like saying no to God, and you want to run away, I say that there is a great story in the Bible for that feeling. I look forward to reading the rest of this book with everyone. And learning more from this “children’s” story. PS Don’t forget to go like the new Facebook page and you can always follow me on Twitter @No_Shirt_Guy!